Free shipping until January 20th! 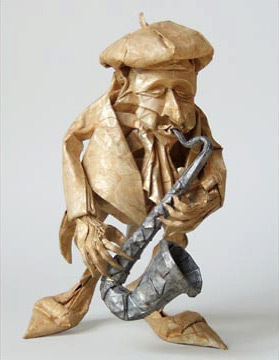 Last night PBS ran a documentary called Between the Folds about the fine art of paper-folding. Featuring a number of artists, mathematicians, and even a scientist who received a MacArthur Genius Award for his computational origami research (try saying that 10 times fast), the film explores the relationship between the art and science of origami. Eric Joisel was one of the featured artists. 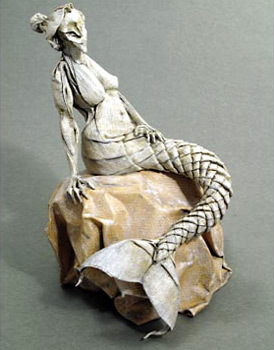 A trained sculptor in his youth, he turned to origami in his late twenties. 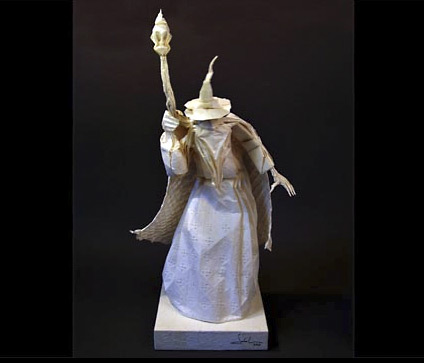 Joisel is acknowledged as one of the world's most talented origami artists. He was particularly gifted at creating human figures, with detailed faces and intricate costumes. 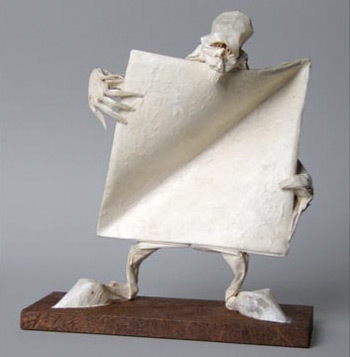 Joisel pushed the boundaries of origami to new limits, using techniques such as methylcellulose (a wet-folding technique) and unusual materials like aluminum. 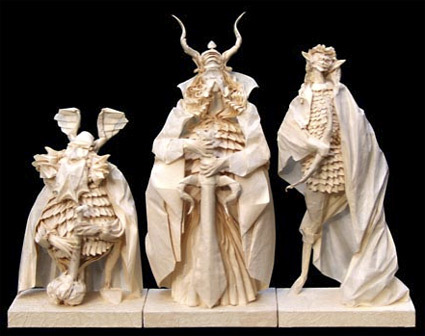 His figures are larger than the usual miniatures I post about (many being 12 to 20 inches tall), but they are so breathtaking I thought other miniaturists would enjoy seeing them. There are even more photos of his amazing work at the EricJoisel.com. Sadly, M. Joisel passed away in October 2010. 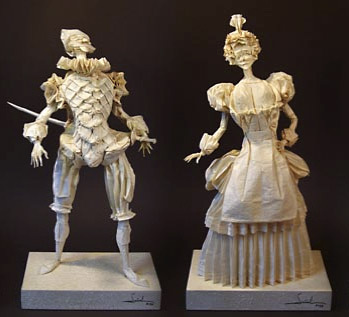 Many of his works can be seen at the Origami House in Tokyo, Japan. Between the Folds will be showing on PBS this month, or you can view it online.